Brimfield started this morning. I had hopes to go every day this week. Big plans for a Tuesday through Friday clothing, furniture and carnival food filled week. But with a forecasted rain filled day, I'm still tucked into bed - staring at the weather page on my phone, and then out the window, and then back at the phone - feeling more and more guilty with each hour that passes and no rain drops. I figured to balance out some of my guilt, I'd pay some attention to this blog. Albeit a lazy attempt with a few phone photos from this past weekend. It was a good one, and I'm already missing the Summer something awful. 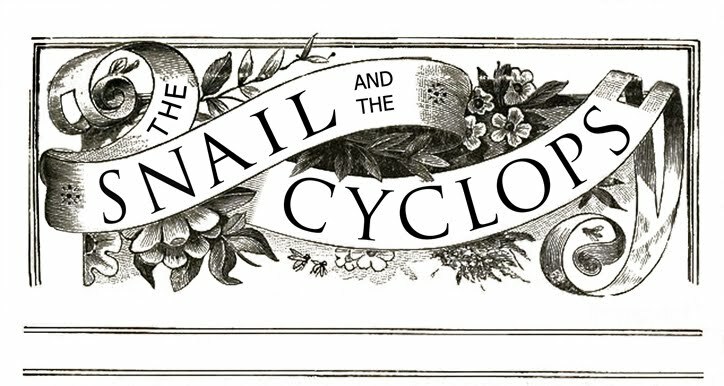 Hey, I made you a pretty rad little grab button for my blog... feel free to take a peek (down the right side) and steal at your leisure.
. . . thesnailandthecyclops at gmail dot com . . .